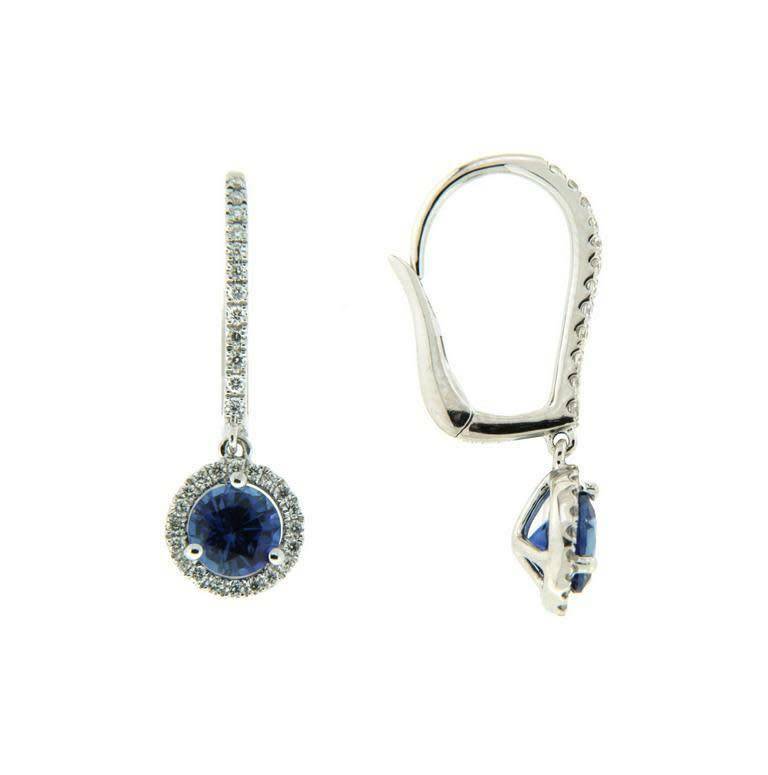 One pair of ladies diamond and sapphire drop earrings of classic styling. The earrings are crafted in 18k white gold and secure with lever backings. They are set with two round cut blue sapphires at center that are three claw set. The sapphires are each surrounded by a halo of round brilliant cut diamonds that also extend up the front of the earrings.